The week rolls on. We're halfway there. The weekend is ever-closer as time marches on, and other sayings of "it's not yesterday anymore!" It seems people around me are feeling a bit drained. Tuesday wasn't the best for them, so they're gonna try and regroup today. Along with that, getting some bite-size gaming stories in their brain will help out, I'm sure. So let's get to that. On today's platter we have: Jess is done for Purgatory, Men and Monsters of Ethiopia Cardstock Characters Now Available, Final Week For The Lords of Rock On Kickstarter, Triple Ace Games Running Viking Dice Kickstarter, New Kromlech Release: Legionary Frag Launcher, and True 13 and 15 sided Dice now funding on Kickstarter. 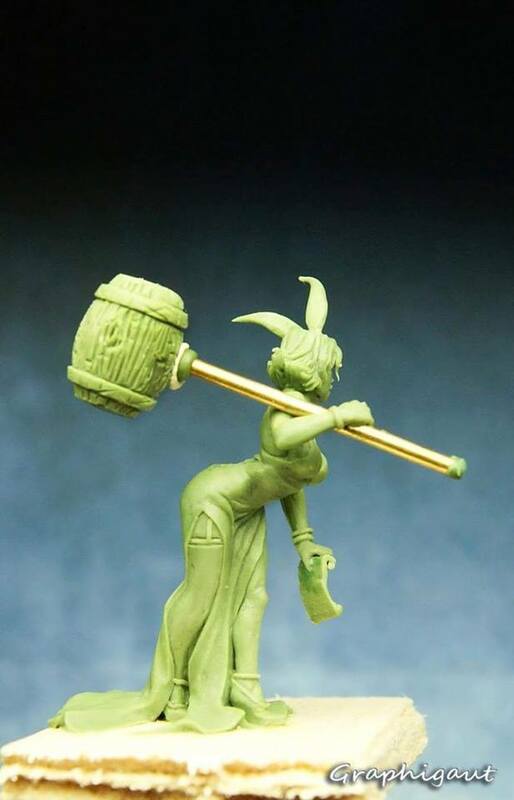 Jess, the latest model from Purgatory has rolled out and this one has options. Jess is part of Murder Inc. One of the two starting factions that are available with the Kickstarter coming in October. Jess comes with a huge mallet, one which is quite traditional, the other less so and there are rumours that this may come with even more options for the end of the spring! Which side will you choose in October 16? This title contains 44 full-color miniatures by artist Amanda Kahl representing men, monsters, and animals that might be found in a fantasy campaign setting wholly or partially based on or inspired by the history, folklore, and mythology of Ethiopia. Almost all of these creatures also fit well in any sort of a fantasy campaign setting, of course, and these miniatures are therefore a good fit for role-playing games set in many different milieux and can be used in a wide variety of scenarios and situations. 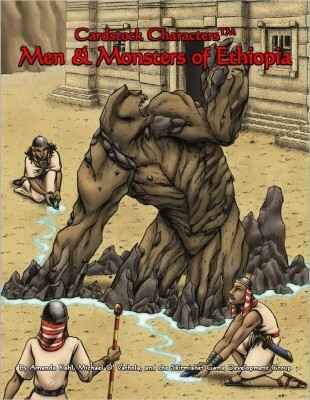 All of the creatures presented here are also fully stat’ed in Skirmisher Publishing LLC’s Men & Monsters of Ethiopia sourcebook for 5th Edition Dungeons & Dragons. Brief descriptions excerpted from that book of the various men and monsters presented here appear in the publication. They range in size from Small to Gargantuan and four of them also have up to three variants provided for them. 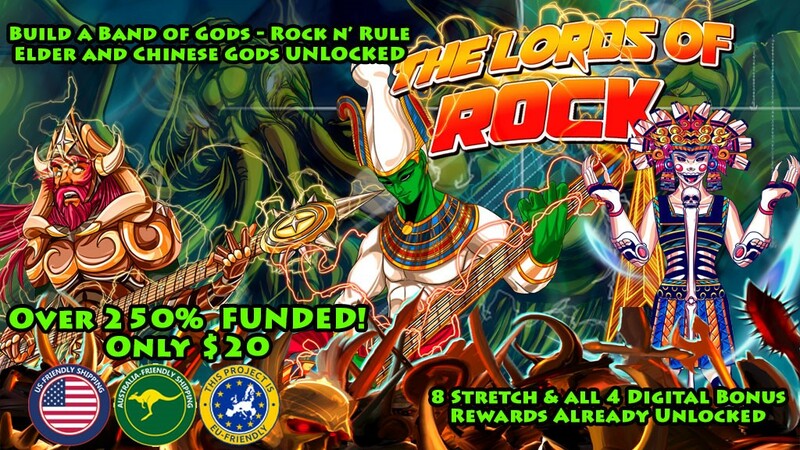 As you all continue to make this the best project of all four games I have done, another stretch goal falls. "The Dark Side of the Moon" XL venue will now officially be part of all copies of the game. Natalie is working on this and I hope to have a preview for you soon. Whether you're a gamer or a collector, you can never have enough dice! Our aim is to create a set of Viking-themed polyhedral dice. This set of dice will fit seamlessly into any Norse or Viking themed RPG setting! All we need to make them a reality is your help! 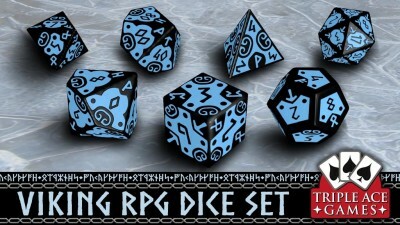 The Viking-themed set contains a d4, a d6, a d8, a d10 (00-90) a d10 (0-9), a d12, and a d20. We are also offering a green d6 Wild Die with a unique symbol on the "6" face for Savage Worlds and a green d20 for use as an advantage dice with the D&D 5th Edition ruleset. If you need these dice for your game, they can be added to your pledge level. 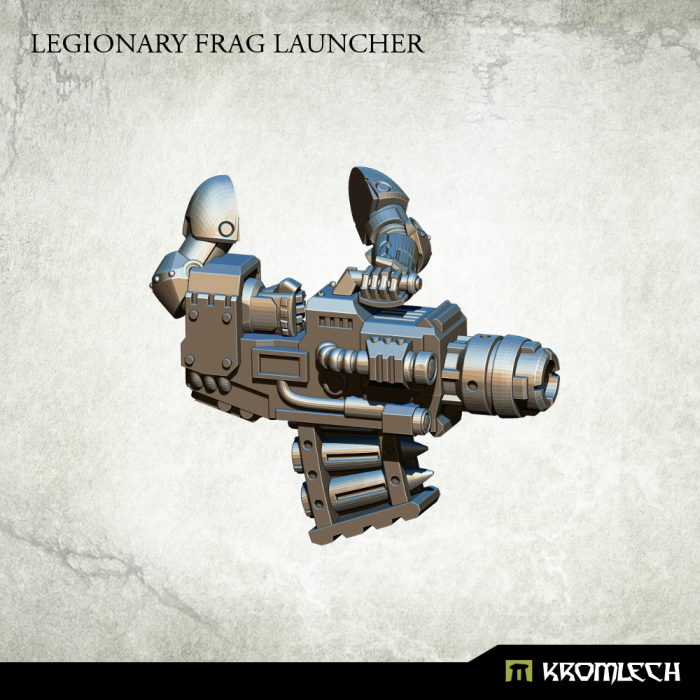 One of the most versatile legion range weapon with an ability to destroy infantry and vehicles alike. 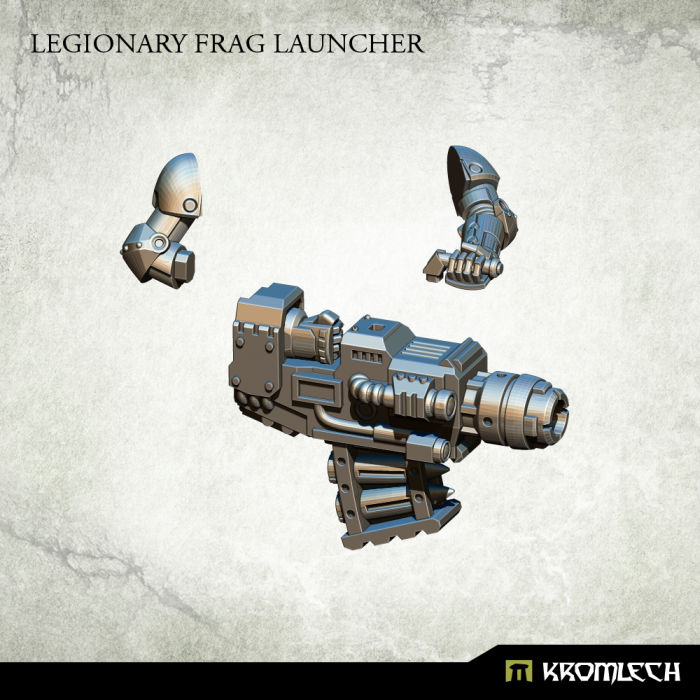 Wargear that enables a legionary to shot with two modes, one as area fragmentation for anti personal best effect or a solid shot which can penetrate heavy armoured troops or even the thickest vehicle armour. 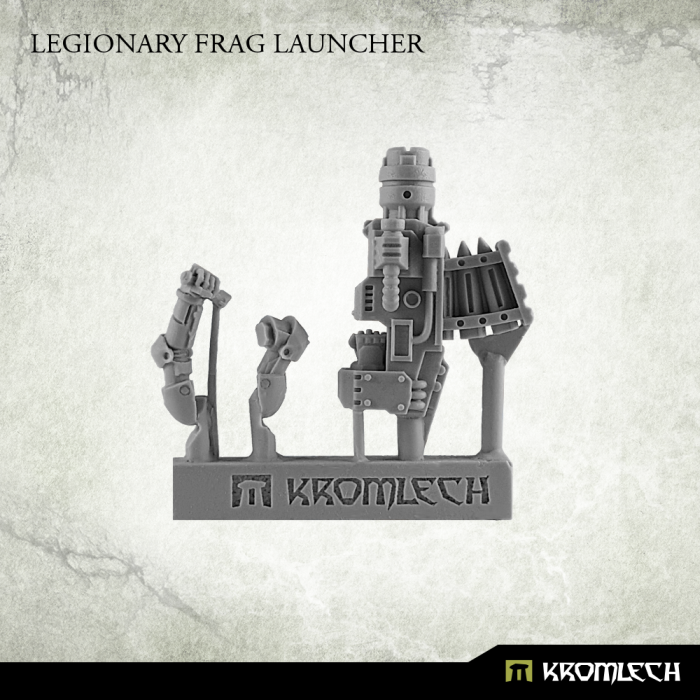 Are you ready to hunt some aliens, heretics and fallen legionaries? In the continuing quest to complete and offer the full dice chain for RPGs of all the dice from D3 to D20, Impact! 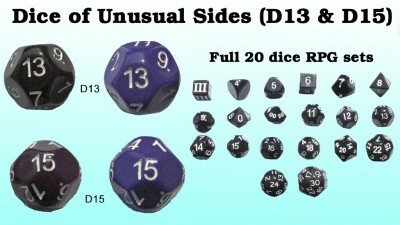 is running a KickStarter to fund the commercial production of a D13 and D15 in eight colors. The project will also pay for new molds to move the entire 20 dice set to compressed resin as well. Stretch Goals are offering free dice to many reward levels and colors beyond the first 8 should be offered soon with future stretch goals.